1. Clean the Lady finger/Bhindi wipe them with towel in order to remove water. 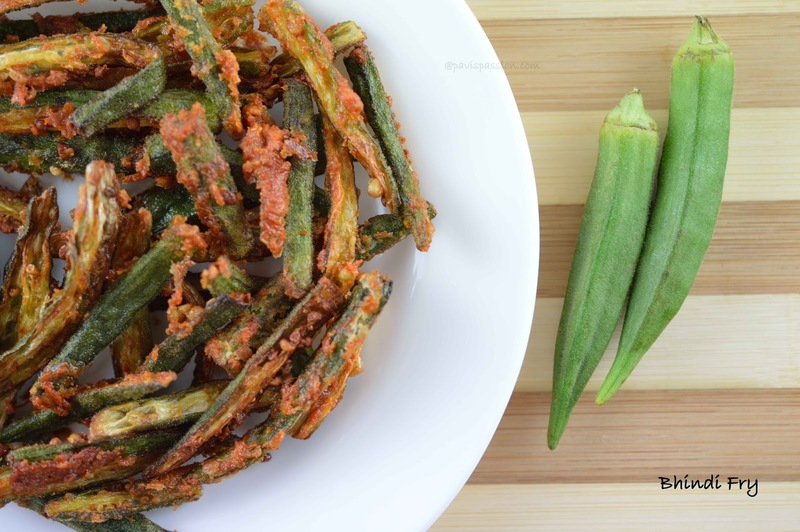 Slice the Bhindi/Lady finger vertically into 4 pieces(long strips). Add the spice powders, Chilli powder, Turmeric powder, Garam masala, Amchur powder, Hing and salt. Mix well with hands in order to blend with lady finger. 2. 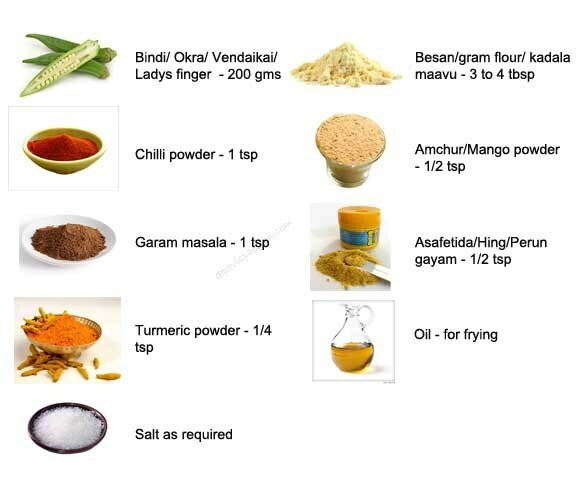 Then put Gram/besan flour and mix thoroughly so that it will blend with the lady finger. You can keep it and you can fry when you serve. 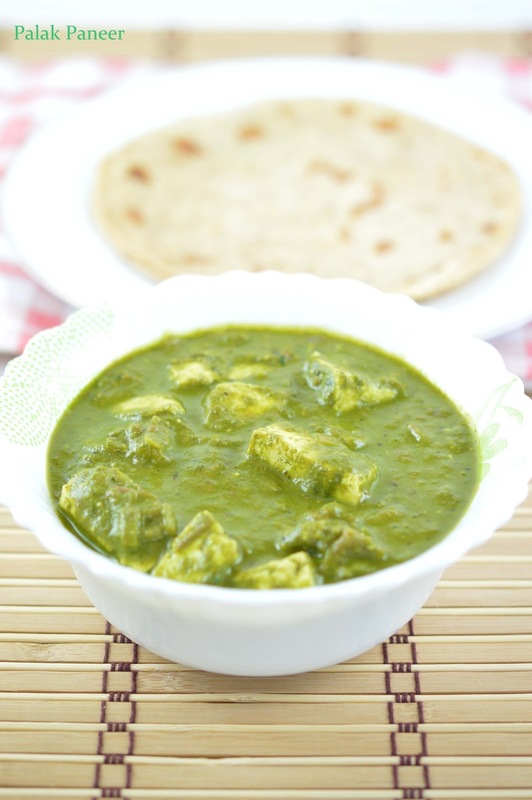 Heat required oil in a kadi. 3. 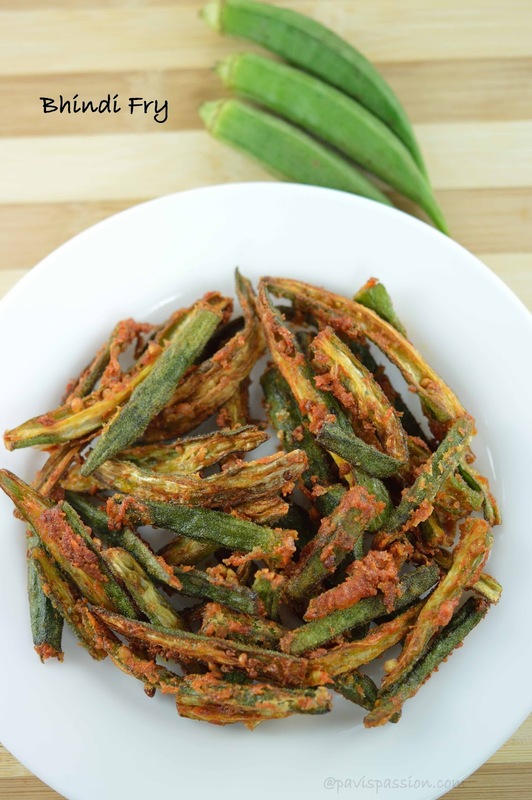 Deep fry the lady finger until the colour of bhindi changes to golden or it looks crisper. It takes some more minutes to fry so fry until crisp. 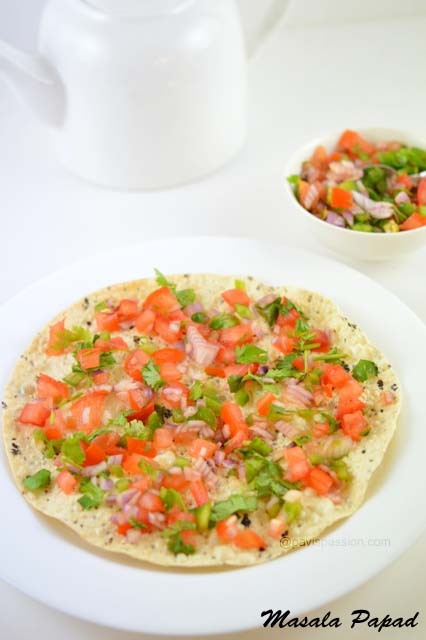 Serve as a side dish for sambar!